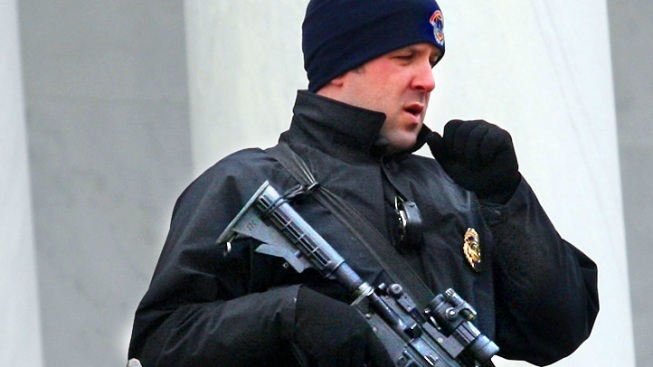 Security will be tight for President Obama's second inauguration, just as it was for the first. President Barack Obama's 2009 inauguration was, from a security standpoint, about as hairy as it gets: the most important people in American government, from the commander-in-chief to the Supreme Court, assembled outside the Capitol, surrounded by nearly two million people at a time of heightened terror risk. 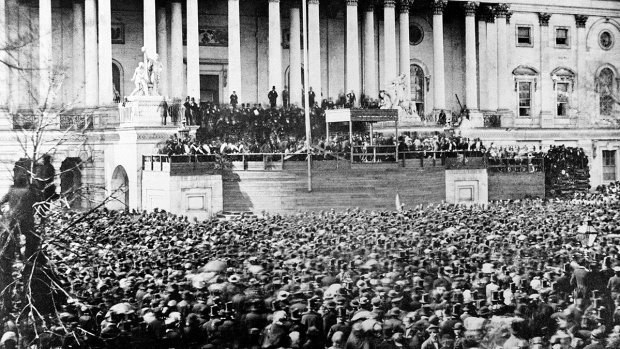 The circumstances make Obama's second inauguration, to take place Jan. 21 with about half the attendance and fewer parties, seem sort of quaint in comparison. But authorities aren't any less tense. The Secret Service, FBI, armed forces, Metropolitan Police Department, Capitol Police, U.S. Park Police and an array of local law enforcement agencies began planning for the event long before Obama's re-election. They're being just as meticulous as they were four years ago -- perhaps even more so. "You don't want to be the person who makes a decision…to cut back and something happens. That's a legacy you don't want," said Joseph Funk, a retired Secret Service agent who protected two presidents and ran the agency's Washington D.C. office. "So you will not see anything different this year." Thousands of troops, agents and cops will be in the streets, trying to manage crowds and eying potential threats. There will be sharpshooters on rooftops, undercover investigators among the spectators and analysts poring over surveillance images. There will be airport-style magnetometers, high-tech bomb-detecting equipment and armored "tactical vehicles." There will be roadside checkpoints and dozens of closed streets and tunnels. Parking will be a nightmare. Washington D.C. estimates that between 600,000 and 800,000 will gather on the National Mall and along the inauguration parade route. That's a considerably smaller number than in 2009, but "still a big crowd," said Christopher Geldart, director of the city's Homeland Security and Emergency Management Agency. The city, which has been planning since June, is borrowing 3,200 National Guard troops, and another 500 or so police officers from other local departments, for help with traffic control and other logistical duties, Geldart said. While the crowd-management concerns won't be quite as acute as four years ago, Geldart pointed out that there are other areas that have drawn more attention, in part because of breakdowns at the 2009 inauguration. Although the celebration ended with no arrests, there were some relatively minor snafus: hundreds of ticket holders were misdirected into the Third Street Tunnel and remained stuck there for hours, and poorly designed signs and understaffed entrances led to interminable lines. This time, authorities are bringing in temporary cell phone towers to make sure they can better communicate with each other. Officials will be monitoring Twitter, Facebook and other social media sites to get a better idea of where people are massing and if there are problems. There will be clearer directions for visitors; Geldart encouraged out-of-towners to check out the city's inauguration website. Organizers say that people who enter secured areas should expect the same level of security that they see from the TSA at the airport. Washington D.C. police chief Cathy Lanier said her entire 3,900-member force will be working the inauguration. They've gone over the security plan to the point of obsessiveness, and technology has been a huge help. Instead of lugging around 200-page manuals as in prior years, each of her commanders now carries it in a digital tablet, with the ability to make last-minute changes, share observations and monitor surveillance video and social media sites. "This is the third inauguration I've had direct planning over, and this is one of the best plans I've seen," Lanier said. "I feel real comfortable with it." In 2009, intelligence officials heard reports that Somalia-based Islamic militants were planning some type of attack on Obama's inauguration, and Osama bin Laden warned that the new president would inherit a fight against guerrilla warfare. There were also lingering concerns from the November 2008 terror attacks in Mumbai, India. And there were some threats posted on white supremacist message boards that appeared credible. There has been no credible threat so far this year, said Debra Smith, acting assistant director in charge of the Washington field office of the FBI. As was the case in 2009, the Department of Homeland Security has declared the inauguration a National Special Security Event, meaning that the lead agency is the Secret Service, with the FBI taking over investigative duties in case of an attack or other disaster. The Secret Service declined to answer questions about its preparations. "Although we cannot discuss our means, methods, specific resources or numbers we utilize to carry out our protective responsibilities, we can say there is a tremendous amount of advance planning and coordination," spokesman Brian Leary said in a statement. No matter how good the intelligence, and how extensive the planning, there's always a bit of anxiety gnawing at you, former security officials said. Retired Army Major Gen. Richard Rowe, who headed a military task force in charge of the capital region during the 2009 inauguration, said he didn't think the risk of an attack had diminished. "I have trouble imagining that anyone thinks the threat here is any less, because of the types of things that could happen," Rowe said. "If anything, there probably more technological capabilities out there that could be applied." But the inauguration is the Secret Service' equivalent of the Super Bowl, and the agency never really stops thinking about it. "I don't think people have a true understanding of the enormity of it," Funk said. "It's hard to equate it with anything else. It would be New Year's Eve in Times Square times ten in terms of the security that goes into it." He added: "This is the pinnacle of what we do."